PHOTO BY MIKE HANLON Scott Wagner has organized the 2013 Rochester Bicycle Film Festival, which is one of the events happening during Rochester Bike Week. Scott Wagner sees Rochester as both a film town and a bike town. So why not bring the two aspects of local culture together? Wagner has founded the Rochester Bicycle Film Festival, which will take place at 6:30p.m. on Tuesday, May 14, at the Cinema Theatre on South Clinton Avenue. The festival is part of Bike Week in Rochester, which is from May 11 to May 19. Wagner is an active cyclist and he's putting up $1,200 of his own money to finance the film festival; he says he's hoping to sell enough tickets to break even. He says the event is bringing together different groups of cyclists, from BMX riders to mountain bikers and competitive road cyclists — which is something he hoped it would do. But Wagner is also hoping that the festival draws in people from outside of the cycling community. In making his programming selections, Wagner says he sought out cycling films that showcase human achievement. 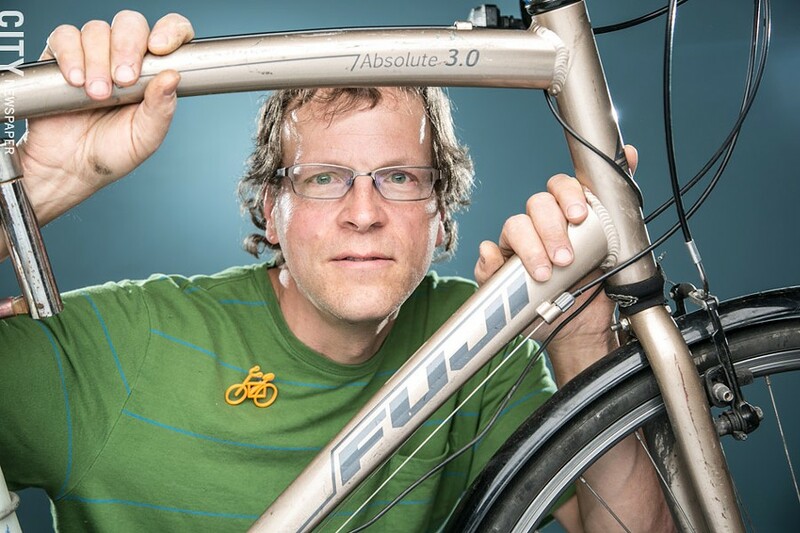 "I wanted something that was inspiring outside of the general context of cycling," he says. "Singletrack High" follows a group of high school students competing in an interscholastic mountain biking league. And "Race Across America" is about cyclists competing in an extremely challenging endurance race across the United States. The festival will also include shorts, including two films produced by local college students. Festival tickets are $6 and are available at local bike shops. Some tickets may be available at the door. Information about the festival and about Bike Week is available at http://rochesterbikeweek.blogspot.com/.